These burlap totes come filled with a little fruit, tea, snack items, and candy. This large, colorful, reuseable grocery tote comes filled with fruit and gourmet food items including cookies, tea, chocolates and more. ceramic UT platter or the Chip/Dip Helmet. 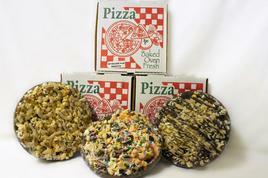 Each can be customized with your choice of food items. Our wicker golfball caddy comes filled with the essentials for a day on the green. Includes cheese straws, sparkling cider, summer sausage, nuts, snack items, and Five Centuries of Golf Wisdom book. We are able to customize any basket to fit dietary needs and restrictions. Simply let us know when ordering if the recipient would prefer healthy snacks or sugar free items. Our wooden horses, chairs, and stools are hand-made especially for The Sunshine Shop by a local gentleman. They are full-sized, made from unfinished wood, and can be painted by the recipient to match the baby's furnishings or left natural. Mylar Balloons are available for almost any occasion and latex balloons are offered in a variety of colors. Balloon Bouquet $25.95, includes 4 mylar, 3 latex, and are tied to a small box of chocolates. 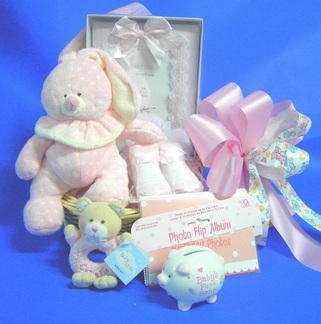 Our stuffed animal selection may vary based on availability. 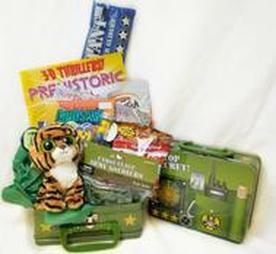 Choose from many animals including the classic bears, ducks, lambs, tigers, elephants, giraffes, rabbits, dogs, and cats. Most of our stuffed animals are made by TYTM. Your little darling will look like a princess in this white wicker chair! This assortment of activities will brighten any child's day. 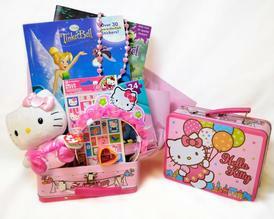 These metal lunch boxes come filled with coloring books, paint sets, stickers, a stuffed animal, and much more. Please specify for boy or girl and age of the child. A special treat for man's best friend! 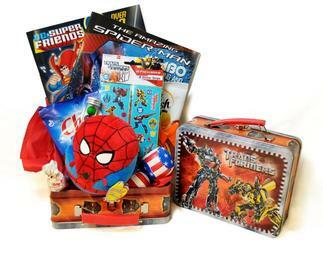 This assortment of activities will brighten any child's day! 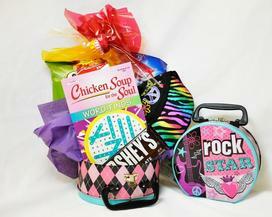 These metal lunch boxes come filled with coloring books, paint sets, stickers, a stuffed animal, and much more. We Also Ship Anywhere In The U.S. Copyright 2019. The Sunshine Shop. All Rights Reserved.